It’s going to be hard to beat Searching when it comes to the “someone goes missing and isn’t quite what you thought they were” genre. 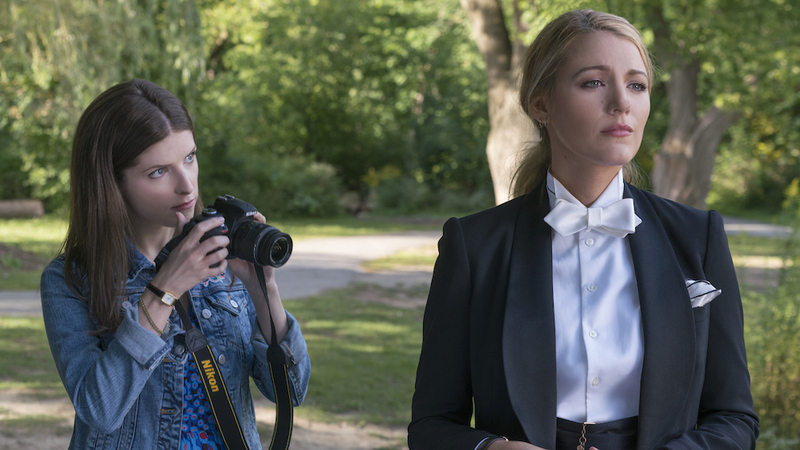 But A Simple Favor is going to try, leaning in to the melodrama courtesy of director Paul Feig, who has only really brought us comedies before, such as Bridesmaids, Spy, and the 2016 Ghostbusters. Will he be able to do a serious mystery? Stephanie (Anna Kendrick) is a single mom and widow, who volunteers for every school event and hosts a vlog about cooking and DIY home improvements. She meets the mysterious Emily (Blake Lively), another mom who makes dark jokes and hints at her dissatisfaction with life. Emily appears to have it all, though, including the novelist husband (Henry Golding). Emily asks Stephanie to pick up her son from school and disappears one day, triggering an investigation into her whereabouts, where everyone is a suspect. All of our leads do a serviceable job here, mostly carried by Anna Kendrick. While she relies on her usual antics for most of the movie, we do get some more serious moments from her and it’s nice to see that. This movie is really for people that want melodrama. This is a two-hour soap opera plot, full of dark secrets and twist reveals. It’s not for those of you that want a realistic mystery or people that want a slow series of clues that you can follow and figure out the mystery on your own. 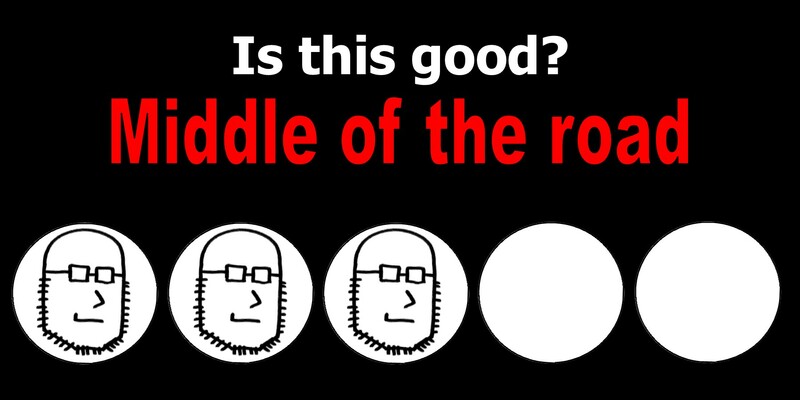 This is a nonsensical thrillride, where the twists could not be predicted from the series of breadcrumbs left for the audience. 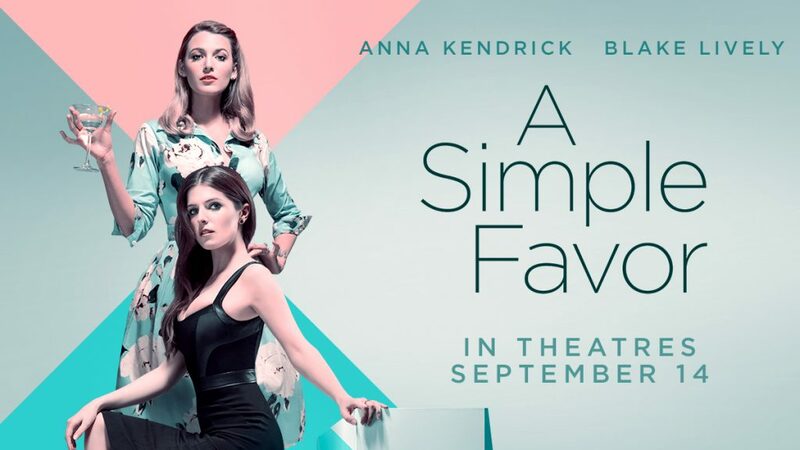 If you love that sort of stuff, you’ll likely have a great time at A Simple Favor. For me, the melodrama didn’t hit. I have to compare this to Searching, a movie which felt authentic and suspenseful and every twist was earned. Here, the twists felt like they existed to purposely confuse you. In the climax, I was confused by so many twists and turns and betrayals that I lost track of what was actually happening and who I was supposed to be rooting for. It felt like it was written with the sole purpose of being hard to predict. With this comes some ridiculous plot points that ultimately go nowhere. There’s an entire subplot about Anna Kendrick’s dark past that ultimately has nothing to do with anything, which can be frustrating as you’re trying to connect all the dots. I also struggled with the tone of the movie. Blake Lively and Henry Golding are starring in this dark mystery about murder and suspense and everything is dark and intense. And then Anna Kendrick stars in this movie where she’s a quirky mom with a YouTube channel. We even have a trio of other parents that show up regularly to give us jokes and make us laugh. This is fine until this humor gets in the way, especially in the climax. In the big finale, a few jokes ruin the intense final moments. This movie wanted to be two things but failed at both. If you want a crazy unpredictable story, this might do it for you. If you want a thrilling mystery with a satisfying conclusion, go see Searching (my review here). This movie tries to be a deep mystery but also tries to be a comedy, blending both in a way that doesn’t make it either and this muddled movie ends up being really dissatisfying. For some of you though, you’ll love this… but I think even you’ll agree that this is not a good movie per se, but a fun one if you relish in the absurd. This entry was posted in Movies and tagged a simple favor, anna kendrick, blake lively, henry golding, i am your target demographic, iaytd, movie, movies, murder, mystery, paul feig, review, reviews, suspense. Bookmark the permalink.